Sony recently opened its flagship store in Singapore, located in the 313@somerset mall. Covering an expansive space of 9,902 square feet, the Sony Store 313@somerset will also unveil a brand new concept that embodies the “One Sony” vision – bringing together all that Sony Electronics, Sony Mobile, Sony Pictures, Sony Music and Sony Computer Entertainment can offer under one roof. The Sony flagship showroom is more than just a huge showcase for Sony’s latest and most innovative technology on offer by Sony, it will also be used by Sony Music and Sony Pictures to host meet-and-greets with its local and international artistes and screenings of exclusive trailers and sneak peeks. With a prominent video wall mounted on its store front, customers will be invited to step into the wide and open entrance of the store with the dazzling and captivating visual displays. Segmented according to its different product offerings, the Sony Store 313@somerset offers a Be Moved experience that is reflected in our Displays, Music, Digital Imaging, Gaming, Mobile and Movies, as well as its customer-friendly Service Centre. 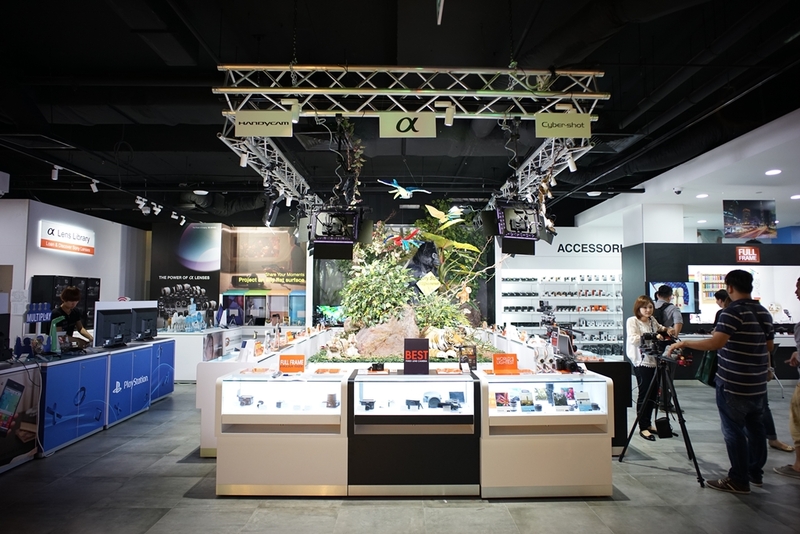 The store will also be home to Sony’s ubiquitous Sony Digital Workshop space, which is capable of hosting workshops, seminars and activity sessions. The latest BRAVIA televisions will be sited at the dedicated BRAVIA Cinema area, where customers can enjoy all the latest BRAVIA televisions and audio products in a cinematic environment. The Playstation Stadium houses the largest screen in which to experience the Playstation 4 and in the Xperia corner, there will be a full line-up of all related Xperia accessories. Do drop by Sony Flagship Store at 313@Somerset, Level 2 #02-28 to 37 and have a great experience immersing in the world of Sony innovative and latest technology and gadgets on offer! Canon Achieves 100 Million EF Lenses!